Mark O’Connell, who debated Don Schmitt in the “great Roswell debate” at the Milwaukee paranormal conference, is a little miffed that KGRA is not posting the debate on their web site. Mark states that he feels he won the debate clearly and the implication is that this may be why the debate is not posted. Kevin Randle tried to get the debate going again on his radio program. This time Mark would be against Schmitt and Carey. Was Carey supposed to be there to hold Schmitt’s hand or to promote his own agenda? We will never know because O’Connell decided he did not want to waste any more time on Roswell. Good for him! Dr. Rios has been busy promoting his story about the Roswell slide showing a non-human body and not the mummified body of a two-year old boy. He has gone as far as trying to comment on one of my astrophotographs I had posted on Facebook. The exchange was as one would expect. Rios claimed I was afraid. I had to wonder who was afraid since he has still yet to put his reputation on the line by filing a paper in a scientific journal. After a brief back and forth, I decided to block him. I have no problem debating Rios but the forum he chose (my personal Facebook page) was not an appropriate one. Instead of “hitting and running”, perhaps Rios should go into one of the UFO Groups (like UFO pragmatism or Relatively incredible things), where he could present his evidence to all members of the Roswell Slides Research Group (RSRG), who frequent those locations. He tried that once before but would not, or could not, answer questions about his measurement of the body. He then left the discussion. It seems that Rios is only capable of cutting pasting images of his web page on these on-line debates. One wonders why, after 18 months, he has been unable to convince those, outside of his little group, that it is not a mummy. 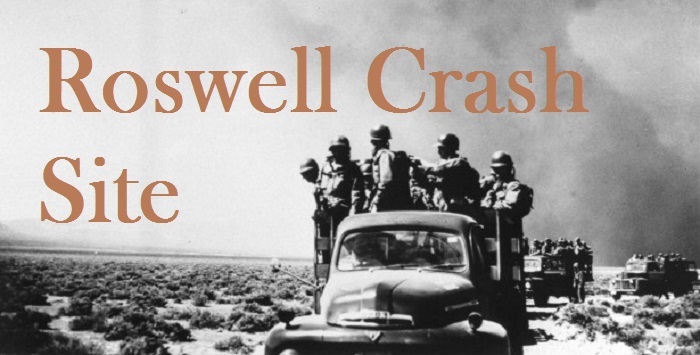 Kevin Randle’s latest book on Roswell has given the impression to some that he has given up on the Roswell case. It is true that Mr. Randle appears to have acknowledged that the alien spaceship explanation is less appealing to him than before but his writings also suggest that he has not quite given up on Roswell. from 1947 with the stories told decades later. Most important are the Fort Worth photographs and the Brazel interview. Randle tends to bury these in the text with the implication there may have been a substitution for the photographs and that Brazel may have been ordered to tell his story to the press. Like much of the Roswell story, Skeptics have a different perspective regarding this evidence. The one chapter in Randle’s book I found amusing was his section on Walter Haut. Randle implies that Haut played a major role in creating the modern Roswell myth. I stated over a decade ago that it was clear that Haut had inserted himself into the myth by vouching for individuals like Kaufmann and Dennis. Before he died, he even signed an affidavit that described events he had never mentioned in previous tellings. For some UFOologists, the details surrounding the affidavit, and the story, painted Haut in a differ- ent light than before. His reliability now was openly questioned. 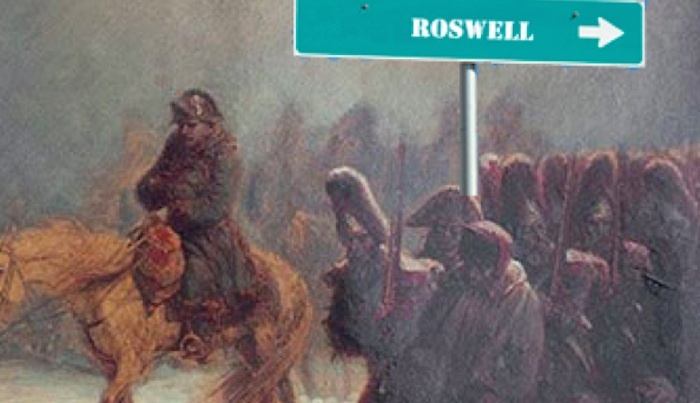 For once, we appear to agree on something regarding Roswell. After recounting most of the usual history of Roswell, Kevin Randle made some statements that indicated he no longer found Roswell to be as compelling as he did for almost three decades. In his discussion of things that can be proven, he states, “...it would appear that the recovery was of a balloon and rawin radar target.”1 With this willingness to admit the photographs included the actual debris, he then backs away and states that it is only the testimony, told decades later, that gives him reason to look elsewhere. In an apparent Mea Culpa, Randle finally conceded that the actual government documents from the time period indicate that noth- ing alien fell at Roswell. After decades of declaring a cover-up and using the “need to know” excuse, he had to admit that he was mistaken about these assertions. This resulted in another admission by Randle, “... I find myself drifting towards those who reject the extraterrestrial. At one time I was sure but that was when we had all this robust testimony, much of which is now thoroughly discredited.” 2 Like his acknowledgment that he had been fooled by Frank Kaufmann and Glenn Dennis, Randle must have felt discomfort in writ- ing this. However, he has not completely written off the ET explanation. After presenting a Sherlock Holmes quote of “when ever you have eliminated the impossible whatever remains, however improbable, must be the truth.”3, Kevin Randle states that crashologists appear to have eliminated everything but aliens, which is the improbable solution. However, he laments they just don’t have the proof that Aliens were involved. Kevin Randle’s attempt to demonstrate why he believes that it was impossible for a project MOGUL balloon to be the source of the debris is really nothing new. He had promoted these arguments on his blog for the many years modifying them as he went along. In 2013, I had written an article in SUNlite 5-5 with the title of “Crashology’s last stand” where I demonstrated that many of his arguments are not as solid as he proclaimed. Having taken the effort to partially reject the ETH for Roswell, Randle then took aim at the skeptics for not accepting his“proof”that the MOGUL explanation does not work. In his mind, he had proven that the flight #4 explanation was not only improbable, it was impossible. FACT 1 - The NYU team was operating in New Mexico in June of 1947. FACT 2 - The NYU team had used ML-307 reflectors in some of their flights. FACT 3 - On July 8, 1947, Mac Brazel reported finding debris on the ranch in mid-June. The types of materials described were a large quantity of rubber and tin foil pieces that appeared to be parts from at least one ML-307 reflector. FACT 4 - Fragments of at least one ML-307 reflector and balloon material that had been out in the sun for many days/weeks are visible in the Fort Worth photographs, which supposedly show Jesse Marcel posing with some of the debris he recovered from the Foster Ranch. FACT 5 - An unknown number of balloons, which was described by Dr. Crary as “A cluster of balloons”, which had “a regular sono buoy” attached,5 was launched by the NYU team on June 4 and never recovered. Skeptics have referred to this as NYU flight #4. The cluster of balloons launched on June 4th was not Flight #4 because it was canceled earlier that day. winds and trajectory of the flight away from the Foster Ranch site. until the afternoon when the sky conditions at Alamogordo were clear. It never says the flight was canceled. It only indicates that clouds had prevented the flight from being launched. The very next entry mentions the cluster of balloons being launched, which could be interpreted to mean that the flight had only been de- layed by clouds. Randle’s argument is based not on a indisputable fact but his interpretation of the entry in a journal. The NYU progress report made after the June flights, described all the flights as “clusters of meteorological balloons” .6 Crary uses the description “cluster of balloons” four times in his journal.7 Twice they are used to describe full balloon flights. These are actual facts, which imply that the term could mean a complete flight of balloons. Randle’s argument here is, once again, based on his interpretation of the entry and ignoring the NYU documentation. They launched flight #8 at night and used radar to track it.8 Therefore, the claim that they never launched balloons at night is false. Again, Randle’s argument is based on his interpretation of the records. As stated previously, the NYU reports are full of statements where they call full flights “clusters of balloons” but there is no statement that says that a definition of a cluster is an experimental flight or partial array. I asked Randle to cite his source but he chose not to respond. I can only assume this meant that he had no documents to support his claim and he was making this kind of statement based solely on his opinion. The problem with this argument is that he can not produce a single bit of documentation to support the claim they had permission. It is speculation dressed up as facts. I then asked the question, “If they were able to obtain such permission, what prevented them from obtaining the same kind of exemption on June 4th?” Randle’s response was the second reason he thought they allowed flight #8 to be launched at night but not flight #4. This argument has little basis in fact and seems to ignore the whole idea of why there was concern by the CAA for the flights in the northeast. Randle presents no documentation to support this claim and I had to wonder what specific length made a balloon clus- ter a hazard. The tone of the CAA rules for the northeastern flights indicated any flight, no matter how small or large, was a hazard.14 I could counter argue that a small balloon flight would create a greater hazard because it would be hard to see but I never got the chance because Mr. Randle shut down any more discussion about MOGUL on his blog. With Randle’s hasty retreat from discussing MOGUL, we will apparently never know his response to such arguments. I can only assume that he will post another MOGUL offensive in a few months, where skeptics will, once again, attempt to point out that his arguments are not based on facts but on his biased interpretation of the documentation. Is it really a retreat? Kevin Randle’s hard stance on the MOGUL explanation, and its proponents, indicates he is not quite willing to admit that there is a conventional explanation for the case or side with the skeptics. It seems that, instead of retreating from his position that a crashed alien spaceship produced the Roswell event, Randle has simply readjusted his lines to concede that the alien explanation can not be proven with the available information. He still considers that the stories told by various individuals about alien space- ships and exotic materials means something. Maybe after another decade, Kevin Randle will reach another epiphany and begin to look at these stories more skeptically. It might lead him down a path where he can write another book about Roswell with a title like, “How I became a Roswell skeptic.” Now that would be something worth reading.